Maryann Furman is a board certified civil trial lawyer, as well as a registered nurse. She is the owner of her own law firm, The Nurse Lawyer, P.A. While many personal injury attorneys settle cases quick and cheap, Maryann’s passion is in litigating and trying cases to get the best possible result for her injured clients. She is not afraid to put in the time, money and effort that is required throughout the litigation process, and if that doesn’t produce top dollar for her clients she will take her cases to a jury trial. Maryann is part of the 1% of women who are board certified civil trial lawyers. 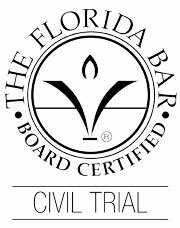 Board Certification is the highest level of evaluation by The Florida Bar of the competency and experience of attorneys in a particular area of law. This means Maryann is considered by the Florida Bar to be an expert in civil trial law. Maryann has been rated one of Super Lawyers Rising Stars from 2012 – 2018. To be eligible for inclusion in Rising Stars, a candidate must be either 40 years old or younger or in practice for 10 years or less. Maryann is a member of the Million Dollar Advocates Forum and the Multi-Million Dollar Advocates Forum. Established in 1993, the Million Dollar Advocates Forum (which includes the Multi-Million Dollar Advocates Forum) is one of the most prestigious groups of trial lawyers in the United States. Membership is limited to attorneys who have won million and multi-million dollar verdicts and settlements. There are over 4,000 members throughout the country. Fewer than 1% of U.S. lawyers are members. Maryann was also named one of the Top Lawyers of Tampa 2014 by Tampa Bay Magazine. She litigates nearly all types of injury cases, including car accident cases, commercial truck accident cases, general negligence actions, defective products cases, and wrongful death. As an attorney Maryann uses her education and experience in nursing to further her litigation strategy in the areas of personal injury liability and damages. Maryann was born and raised in South Philadelphia, Pennsylvania. Her family came to America from Italy and Ireland, and primarily worked as laborers, seamstresses, janitors, etc. She grew up from very humble beginnings but always wanted to obtain the best education possible and become successful. She paid her own way through college working 3 jobs, and supported herself through law school while still working as a registered nurse full time. She was the first person in her family to obtain a college degree and the only one to obtain a doctorate’s degree. Maryann received a Bachelor of Science Degree in Nursing from Thomas Jefferson University in Philadelphia. Upon her graduation she received an award for Outstanding Leadership and was inducted into Sigma Theta Tau, the National Honors Society for Nurses. 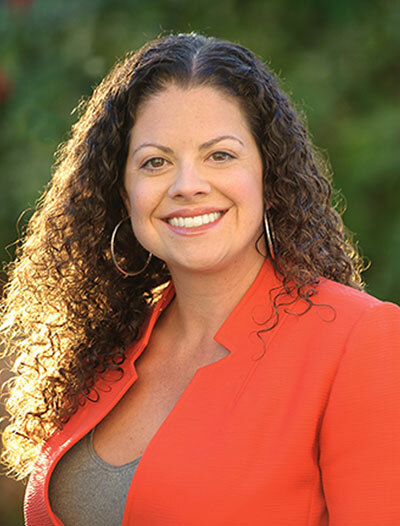 Maryann attended law school at the University of Nevada Las Vegas and graduated with honors. She also received a CALI award for obtaining the highest grade in her trial advocacy class where she mock tried numerous cases. Maryann also volunteered by teaching free legal classes to the public and assisted at the local legal services office. Maryann started her legal career as an assistant public defender in Pinellas County. There she represented both adults and juveniles charged with misdemeanors and felonies, and she tried over thirty criminal cases. Prior to opening her own law firm, Maryann worked for nearly 5 years at a plaintiff’s personal injury firm in the Tampa and Brandon area. While there she tried many personal injury cases that resulted in numerous multi-million dollar verdicts. Maryann Furman is licensed to practice law in Florida in both state and federal courts, and is an active member of several state and national professional legal associations, including the Florida Justice Academy, the American Association for Justice, the Hillsborough County Bar Association, West Pasco Bar Association, Women Lawyers of Pasco, Seven Springs Rotary Club and the Tampa Bay Trial Lawyers Association.